Klim Everest Jacket & Pants: Go Higher! There is no more famous geographical obstacle in the world. Plain and simple. Everest is imposing. It is daunting. It is an absolute pillar of nature and a reminder of just how small we are by comparison. When attaching such a name to a piece of gear, it should go without saying that the gear itself is of the highest caliber. The Klim Everest Jacket has been a staple of the mid-layers for years. However, the newest iteration has been totally re-designed. With a premium feel and warmth that can only come from top-of-the-line fleece, such as that which is used in its construction, the Everest jacket aggressively pursues maximum comfort and mobility for those who wear it. 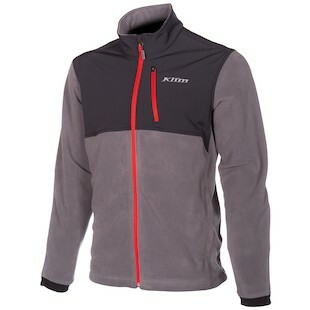 The relaxed look and feel works seamlessly with the textured nylon overlays that have been incorporated for a bit of added abrasion resistance in areas that wear down over time, and its sleek look works just as well as a stand-alone option as it does a mid-layer underneath an outer jacket. Klim is not a company that does things halfway. 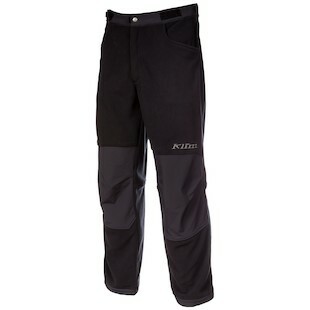 To round out the outfit, the Klim Everest Pants are ready to do the job of keeping your lower-half warm. These are going to be a great choice when it comes to deciding what to wear directly underneath your snow bibs or pants. The low-profile fleece keeps you comfy while the ripstop stretch over the knees remains durable while also allowing for great mobility. Standing at the base of the great mountain itself and looking skyward has to be one of the most intimidating views anywhere on the planet. While most of us will not be in that position any time soon, or ever, we can still make great use of the Everest ethos that has been put into the design and construction of Klims new mid-layers.